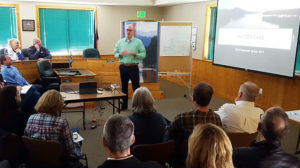 Earlier this week, I wrote how the dynamic nature of the lake makes planning for Milfoil treatment an iterative process. As the treatment day approaches, ISDA refines its plans until 24-48 hours before, when the contractor posts signs 600-ft from the treatment zone. This experience is a beautiful example of a dynamic lake taking control of the reins. Today, the assessment team surveyed the north arm of the lake to finalize tomorrow’s treatment plans. 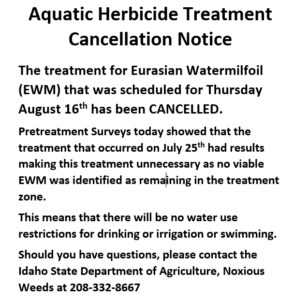 There, they discovered that the Milfoil had died off. No viable patches of Milfoil surfaced in observations made across the bay around Sportsman’s Access. 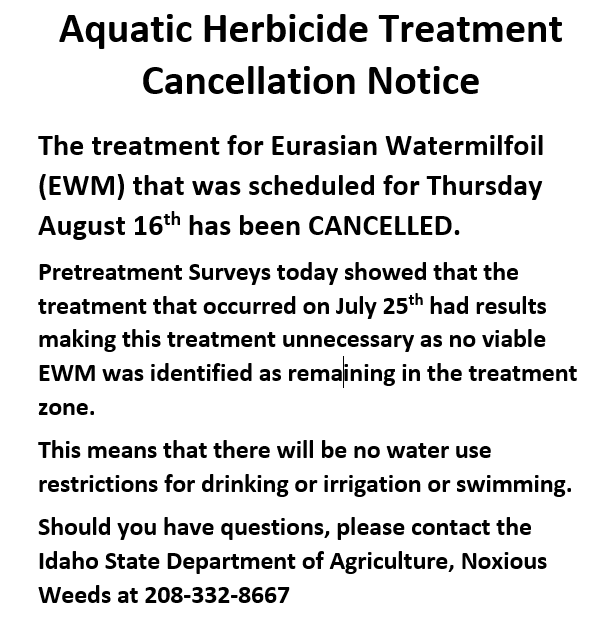 Pictured here is the notice distributed by both ISDA and Aquatechnex in place of the planned water-use-restriction notice.